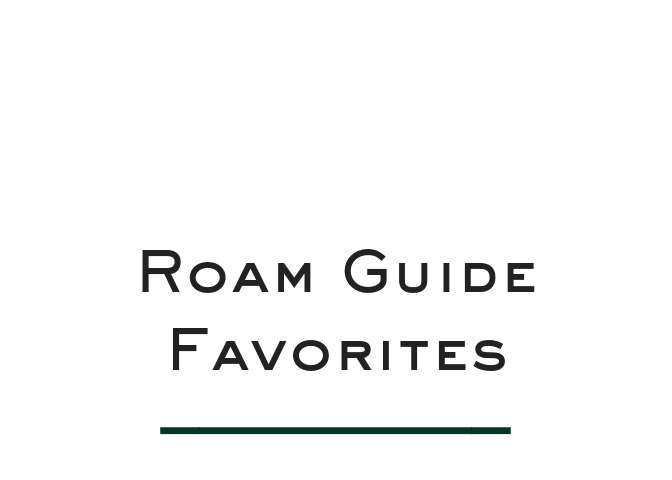 Curated travel guides from like minded travelers around the world |: A collection of experiences and thoughtful recommendations that inspire others to get Ready to Roam. A collection of travel guides from a community of travelers. Sled dogs are some of the most high-spirited enthusiastic residents of Minnesota’s North Shore. 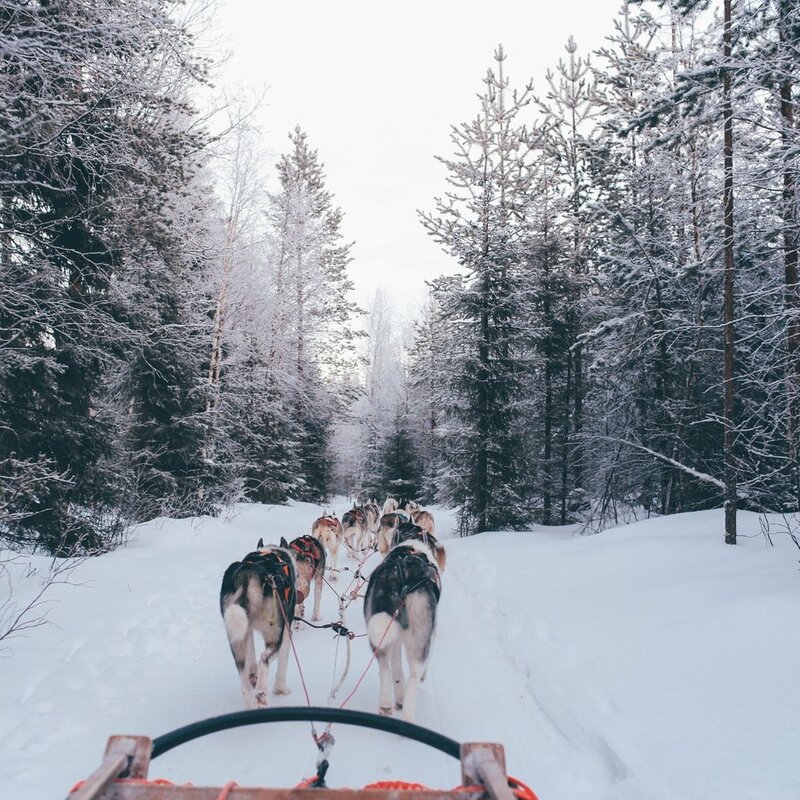 These well-trained dogs love the snow and are always ready and willing to invite visitors to hop on a sled for a winter ride through the North Woods surrounding Lake Superior. Thanks to our friends at Stone Harbor we have updated information on the kennels offering dog sledding adventures this winter in Cook County. Book a spot with Points Unknown, Gunflint Lodge, Silver Creek Sled Dogs or Skyport Lodge. Call now, they fill up fast. Snowshoeing along hiking trails on the North Shore of Minnesota, is a winter wonderland experience most people can enjoy without any formal instruction. All you need to know is how to clamp and unclamp the snowshoes to your boots and off you go! Snowshoeing is family-friendly and gives all ages an opportunity to explore the quiet beauty of the Sawtooth Mountains; its forests, rivers and lakes. If you need additional guidance or to rent equipment contact a local outfitter; such as Sawtooth Outfitters in Tofte or Stone Harbor in Grand Marais. Music is everywhere on the North Shore. Day or night you can see talented performers who are passionate about their music. Listening to local artists perform in small intimate venues is an experience you won’t want to miss. Live music connects us to each other and is part of Minnesota’s North Shore magic. Some of our favorite venues are Bluefin Bay, Lutsen Resort Lodge, Cascade Lodge, Papa Charlie’s, and The Tavern. For complete live music schedules and details listen to WTIP North Shore Community Radio, 90.7 FM, or check out the music calendar online. 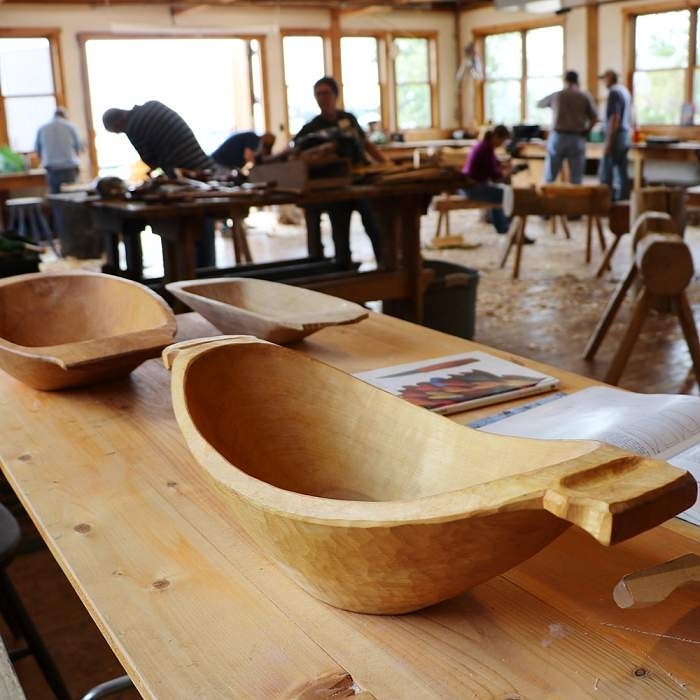 North House offers over 350 courses from cabin timber framing to sausage making (a favorite). The course instructors are kind, patient, skilled and dedicated teachers of their craft. Over the years our family has taken inter-generational courses during our visits. Always a great experience and a lasting memory. North House Folk School is located on the shores of Lake Superior in Grand Marais. Check out their courses here. Located in Grand Marais, on Hwy 61, Voyageur Brewing is the perfect spot to grab some grub and a pint of beer while you warm-up in front of the fire. 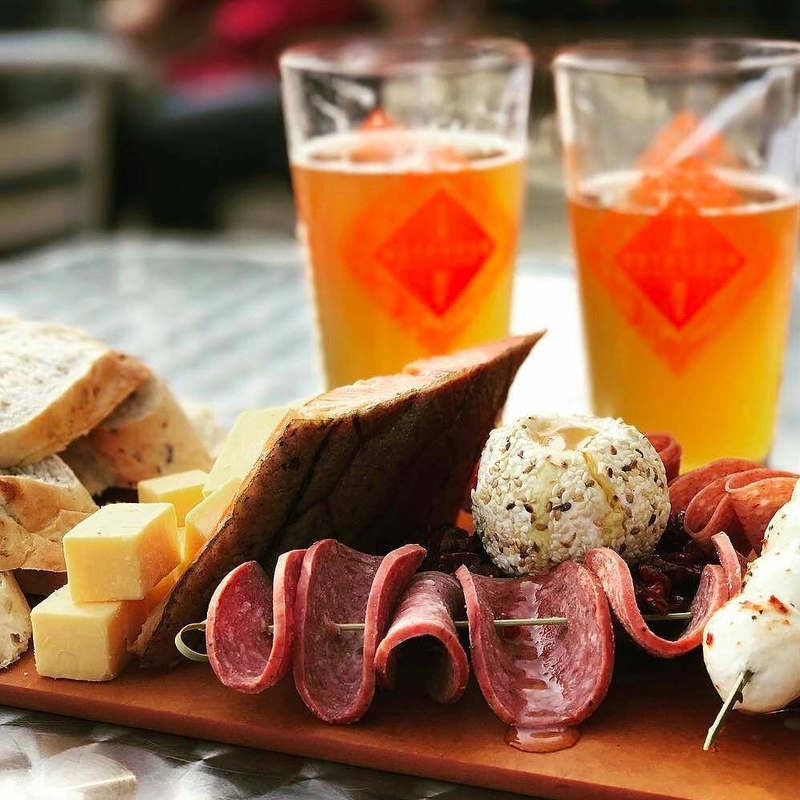 The tap room is family-friendly, offers delicious small plate food options (we suggest the picnic board full of meat, cheese and crackers) and games to keep everyone occupied while you wait. If you happen to visit when the snow melts and the weather warms up, they have a fantastic roof-top patio that is dog-friendly. P.S. They have some really good swag. 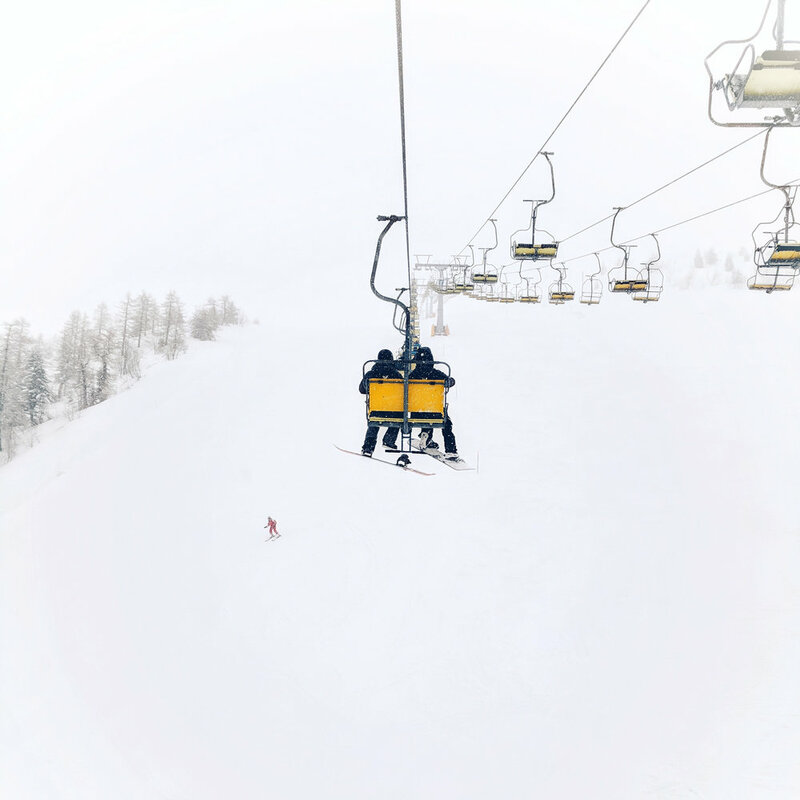 While you may hear that Lutsen Resort is as expensive as going out west, it is still the best skiing you can get in the tri-state area. The runs are extensive, the terrain manageable for all level skiers, and the on-slope entertainment can’t be beat. There is no one who doesn’t end their day watching live music at Papa Charlies. There are plenty of places that offer ski and and ski out accommodations (like family favorite Caribou Highlands) but in our experience it’s just not necessary. It’s easy to drive, park and access the mountain if you are staying elsewhere like this incredible VRBO property in Lutsen, ideal in the winter. For more places to stay, see our full North Shore Post. Roam Again / Washington D.C.
Travel with a network of friends willing to share their experience. Welcome to our community of travelers. Check your in-box for updates on our travels. Thank you for subscribing!